Local Nursery Computer Class - Click IT! Whether a parent or guardian looking for computer classes in your nursery to enhance your child’s early education, or a nursery owner/manager wishing to increase the range of activities to offer parents and children – Click IT! can assist! Weekly lessons at your nursery, with an individual tutor (1:3 ratio) will develop and extend your children’s basic computer knowledge and mouse control skills in preparation for school. We also use the computer and other devices to open up a whole new world of learning – and have a lot of fun in the process! Using an innovative collection of computer activities for 2-5 year olds, your child will be taking their first steps in using technology to learn, create, solve and play. Our lessons plans are designed to complement the key learning skills defined in the EYFS Curriculum. Working through these IT skills levels, the tutors engage your children in a fun and interactive way. Children will also enjoy printing their work for the nursery wall display, development folders or taking home. We ensure that all pupils are prepared for the primary school IT curriculum. 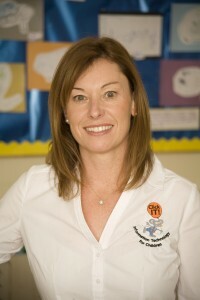 Founder Wendy Petersen saw the need to prepare pre-school children for today’s ever changing, technology environment. In 2001 Wendy began with the first Click IT area of Harrow. From here Wendy has gone on to establish 11 franchise areas in the UK. All franchisees work to the same original tutor principals of Wendy’s: quality, fun and adherence to the Click IT! and EYFS curriculum. Are you a parent or guardian wishing to enrol your child in a local nursery computer class? Please enrol at Click IT! If you are a Nursery Manager interested in pre-school computer classes in your nursery, please click here to see if Click IT! is in your area. If not in area contact Click IT! here.